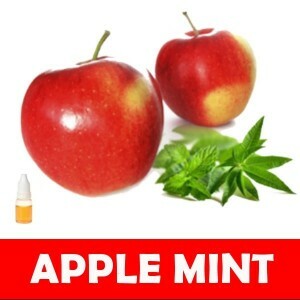 Apple Mint is to vaping as a cool breeze is to a hot and humid summer day. Slightly sweet, slightly cooling, you can now enjoy Apple Mint any time of the year. The sweet taste of apples perfectly complements the appetizing mint to create a melody of flavour your mouth will thank you for. Delicious and mild, there’s no overwhelming essence here. Electronic cigarettes are practically useless without e-liquids. Purchasing the right ones is of utmost importance for a truly enjoyable and personalized vaping experience. It can be a challenging task to find the right flavours, especially for those who are using Australian e-cigs for the first time. If the ones selected do not taste pleasing, vaping may not be fully enjoyed. The following are some helpful tips on how to shop for e-liquids to make e-ciggies the perfect everyday vaping companions. Purchasing different cartridges is easy, allowing the shoppers to experiment with various e-liquids without spending a lot. However, it's a different thing if the devices you are using rely on refillable tanks. It's a good idea for anyone who is still on the hunt for the best e-liquids on the market to purchase in small bottles only. This way, wastage can be kept to a minimum in case the liquids ordered do not exactly meet the preferences of the user. Most manufacturers offer small sample bottles to allow shoppers to have a taste of their various offerings. News about some of today's best e-liquids is often spread from one mouth to the other. If the flavour is unbeatable, you can be sure that vapers will talk about it, and they include some of your friends and associates. Approach some of the people you know who have been using e-ciggies for years already. By this time, it's not unlikely for them to have certain brands or flavours they swear by. Many of them will be more than willing to help a newcomer in the vaping world to know some of the most excellent e-liquids as well as those that you should steer clear of. The internet is a place where you can find lots of testimonials and opinions. With the help of your favourite search engine site, you can easily come across listings of the most preferred e-liquid flavours by users. There is a blog that can help facilitate your e-juice shopping. Buying raw materials and different flavourings enables you to come up with e-liquids that perfectly match your preferences. Mixing may require some work on your part, but the end result allows you to experience vaping the way you want it to be.